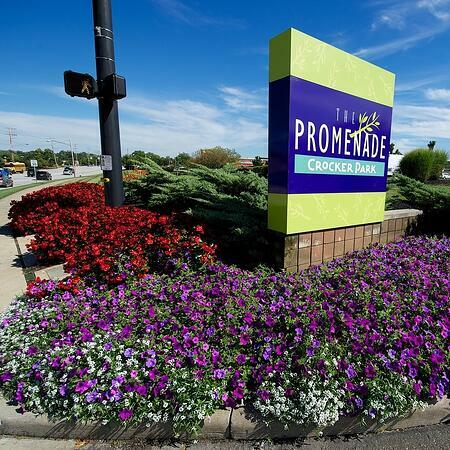 Now is the time to take a good look at your 2015 calendar and the list of maintenance services and landscaping projects you want to accomplish on your Northeast Ohio commercial property. Not every service is necessary on an annual basis, so what’s on the docket for next year? Does the lawn need aerating? 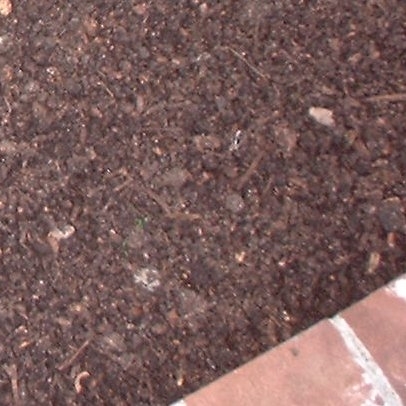 Are the landscape beds due for some mulch? Is it time for trees and shrubs to get a round of dormant pruning? Meanwhile, larger projects require budgeting and planning foresight. Does the entryway need spruced up with new plantings, or do you hope to build an outdoor gathering space on your site — maybe replace an old tennis court with a green space or even a dog park — next year? It’s never too soon to start talking with your professional landscape firm about the extra maintenance tasks (aeration, seasonal color and more) you plan to add to your standard service agreement — and the larger projects you have allowed for in the 2015 budget. While you might have nailed down that 2015 grounds maintenance/landscaping budget, there’s still time to talk about line items that fall within that budget to make sure you get the best results for your spend next year. Talk to a Client Care Specialist about your property needs in the coming year. Our team can share ideas because they’re walking your properties on a regular basis, and they are constantly evaluating the landscaping with an eye on potential improvements. Here’s why planning landscaping activities for 2015 now can help you make the most of your budget and time. Your property might not require mulching, aeration and dormant pruning every year. And, these are considered “optional items” that are added on to a typical maintenance service agreement. Ideally, you’ll plan for one or two of these items in your budget per year, staggering the time of service and spreading out your budget dollars. Is this the year to invest more in mulching? 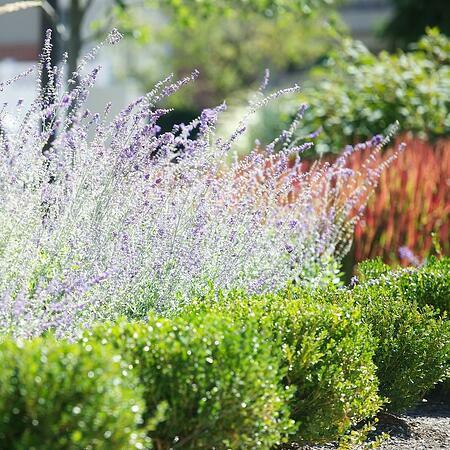 Do the shrubs need a hard, dormant pruning so they can come up strong in spring? Talk to your landscape firm about it now, because mulch can be applied during cold months before “spring” technically begins. Our crews can begin projects before the spring rush so you don’t have to wait for service during the logjam months. From a scheduling standpoint, you’ll come out ahead by scheduling these bi-annual activities with Schill in the off-season. Set Priorities: What Landscaping Extras Matter Most? Our crews and dedicated Client Care Specialists are the eyes and ears on your property. They become familiar with every nook and cranny. They identify problem spots: Maybe there’s a weak area of the lawn that gets a lot of foot traffic and needs attention. Or, they notice that a plant is not thriving like the rest. We troubleshoot issues with landscape lighting, irrigation systems, drainage and more. And we’re always keeping safety top of mind, asking: Are there elements of the landscape that should be improved to make the property a healthier, safer place for people? Now is the time to sit down with your Client Care Specialist, share your budget and talk about areas of the property that should get special attention in 2015. Planning now can ensure that these important items are scheduled. It’s not too soon to start thinking about breaking ground on a landscape project, such as creating an updated entryway or adding a landscape bed. From a budgeting perspective, it’s a good idea to discuss the scope of these projects now so we can allocate the manpower to your project and schedule it early. Schill Grounds Management can even begin these projects during the winter, as long as there isn’t snow cover. 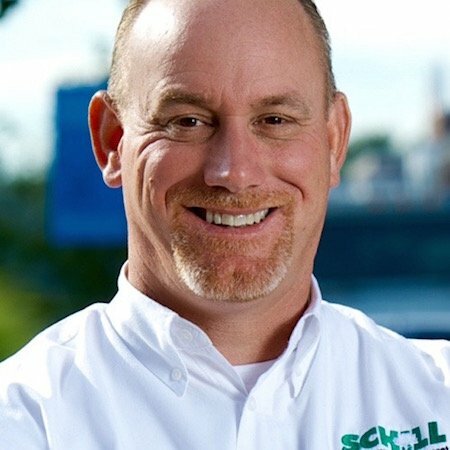 While the “green” season is winding down, at Schill we’re in full-gear keeping clients’ properties clear during winter — and planning for spring services. Now is a great time to sit down with your Client Care Specialists and talk about your property needs and how additional services can fit into next year’s budget. We love to schedule these services as early as possible so you don’t have to wait in spring! Let’s talk more. Call us any time at 440-327-3030, or fill out our simple contact form and we’ll get in touch with you.